Doctoral student Alicia Wright has received a Fulbright-Hays Doctoral Dissertation Research award for $45,000 to conduct fieldwork in New Delhi, India for her project, “On the [Translated] Record: Journalists Writing in India’s Multilingual Politics.” The Fulbright award allows her to live in India where she will interview and shadow Indian journalists to research their writing processes when interviewing, writing and publishing in Hindi and English, separately and interchangeably. The crux of the project brings together questions on translation from literary studies and political and ethical inquiries in journalism studies on reporting across language to treat journalists as creative writers with individual processes, practices and influences that impact their stories. 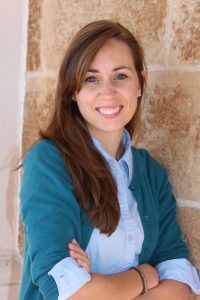 Alicia Wright is a doctoral student interested in communication patterns between reporters and social movement groups. She studies journalism practices enacted in Hindi-language newspapers through ethnographic fieldwork in New Delhi, India. Alicia received her bachelor of arts in comparative literature and mathematics from Hamilton College and her master’s degree in media studies from Syracuse University. Read more about Alicia and the other UW Fulbright award winners here. Next post: World-Class Standing. Hands-On Learning.